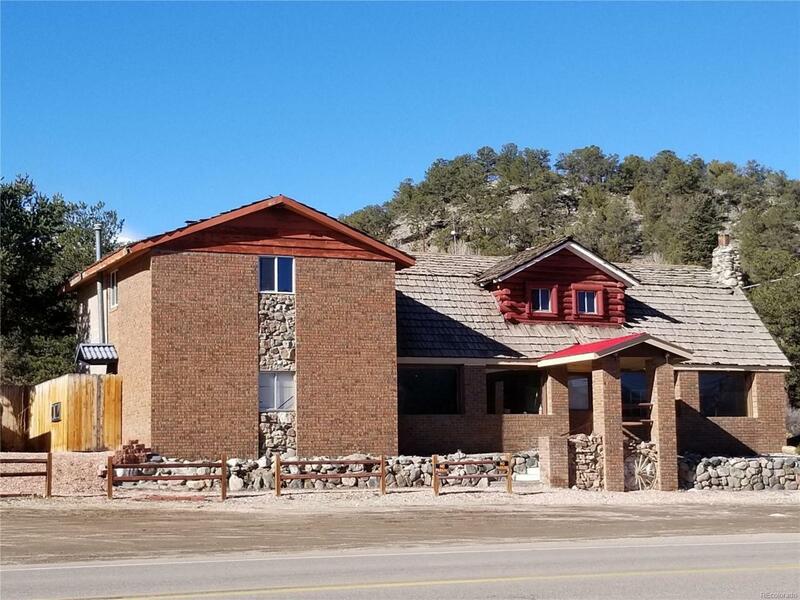 Awesome Location for renting this 2 Unit "Fixer Upper" Apartment/Commercial Building in Howard, CO only minutes east of Salida. Lower unit could be 2-3 bedrooms, 2 baths or split off to make two separate units with a shared kitchen - great for fishermen, hunters, ski parties or an office/retail situation! Upper unit is 2 bedroom, 1 bath with large living room, kitchen/dining room. This has had remodeled but needs more. Some new windows. Use for owner downstairs, rental upstairs; commercial downstairs, live upstairs; endless combinations with the zoning of commercial/residential. And the location couldn't be better for a business, right on the highway, next to Post Office. Plenty of parking for renters or clients. On well, septic system and electric. 1 Story Commercial Building next door (formerly a coffee shop, The Prickly Pear) available for sale as well. Offered by Shining Mountain Real Estate, Llc.